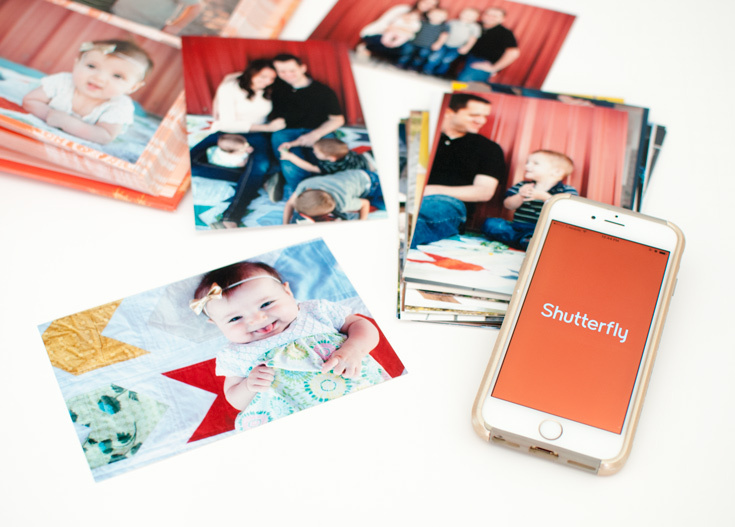 My friends over at Shutterfly have the coolest secret promotion going on right now – they are offering unlimited FREE prints through the Shutterfly app! Seriously – you can order as many 4×6 or 4×4 prints as you want, and just pay shipping. It’s a “secret promotion” because you can only access it through the Shutterfly app… it’s not listed on their website! You pay economy shipping based on weight (aka how many pictures you order). For me, it was about $8 for 100 prints, and less than $20 for 300 pictures! If you’re like me, you probably have loads of pictures dying sitting on your phone. Anyone? Yeah, me too. I’m a huge proponent of getting those picture off your mobile devices and into your home. My kids aren’t allowed to play with my phone, so they are never going to see my cute shots unless they get printed! 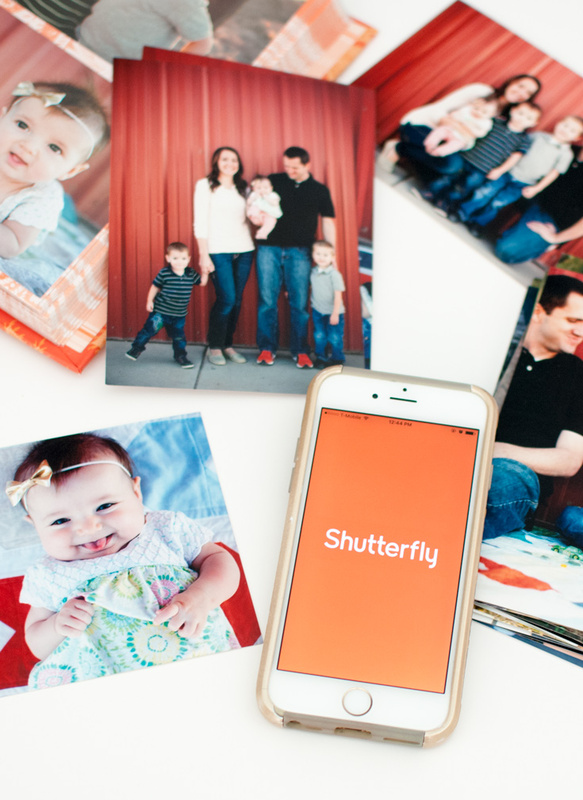 So, go right now, and download the Shutterfly app for iPhone/iPad/Android. Once it’s on your phone or tablet, it’s super easy to access photos in your camera roll and order them. They are marked at $0.00 for a limited time, so order away! The offer is good for new and existing Shutterfly customers as well. Fill up your photo albums! Haven’t updated your family albums in awhile? Here’s your chance to print off the highlights and fill them up! Print those holiday photos for posterity. Matching pajamas? Snow day fun? Christmas morning behead? Your kids aren’t going to truly enjoy these pictures if they are locked down in your phone – you can access facebook from the app, and print them instead! Update the pictures on Grandma’s wall. Trust me, she’ll never turn down new pictures of her grand babies. Make “people books” to help your littles learn the names and faces of extended family. I’ve done this for my young kids – Just slide pics into a dollar store album that they can love to pieces! 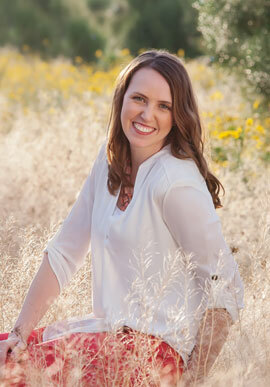 Print your photos for Project Life or a scrapbook. Project life is like streamlined scrap booking – just slide in cute cards and 4×6 pics in special sheet protectors, and you’re done! It’s an easy way to get your family photos in your hands. Use your instagram photos as home decor. It’s super easy to access your instagram photos from the Shutterfly app. Print those out as 4×4 and you have an easy wall collage for your home! Make a banner for a special event. Celebrating a birthday? Tack up a string and hang up cute prints of the special person with cute clothespins. Easy peasy! Get a head start on photo valentines. You can make your own unique photo valentines so easily – find instructions for fun lollipop valentines or pinwheel valentines here! Feeling inspired? All you have to do is download the app from the link below, and then add your prints to cart. They are literally $0.00, no code needed! But it’s for a limited time, so get going! COMMENT: What pictures are you going to print? Are you going to do something off my list? Thank you so much for sharing! When I have a bit to switch over to my phone, I will definitely be downloading! What a great deal from shutterfly! I try to scrapbook when I have time but I’m always so busy! I do take all of my photos from the year and save them in a folder on my hard drive. Then I make a photo book with the highlights from that year. I’m working on 2015 right now! Too seriously awesome!! Thanks so much for sharing. Your captures are the sweetest. Love your profile image! This is such a good life hack! Thanks for sharing.